Please Join Us for IAAI-12! 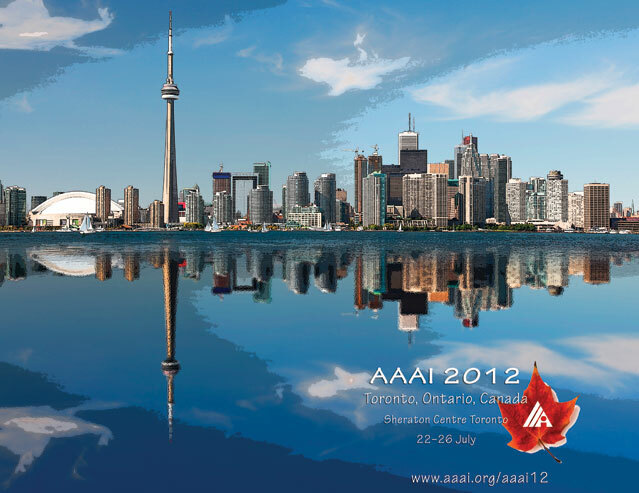 AAAI is delighted to announce that the Twenty-Fourth IAAI Conference on Artificial Intelligence will be held will be held in Toronto, Ontario, Canada at the Sheraton Centre Toronto, from July 22–26, 2012. The purpose of the IAAI-12 conference is to promote research in AI and scientific exchange among AI researchers, practitioners, scientists, and engineers in related disciplines. On this page, you will find links to the wide variety of programs being held at IAAI-12 as they become available. Toronto is full of delights for every visitor. Toronto, Ontario, Canada lies on the shore of Lake Ontario, the easternmost of the Great Lakes. Home to more than 2.7 million people, the city is the key to one of North America's most vibrant regions, the Greater Toronto Area (GTA). 5.2 million Canadians live in the GTA, the cultural, entertainment, and financial capital of the nation. The city is also the seat of government of the province of Ontario. That is why Toronto abounds in investment and employment opportunities in such diverse fields as banking and financial services, film and television production, and fashion, and also boasts a thriving arts community. The goal of the emerging application track is to “bridge the gap” between basic AI research and deployed AI applications, by discussing efforts to apply AI tools, techniques, or methods to re- al world problems.Emerging applications are on aspects of AI applications that are not appropriate for deployed application case studies, or are not sufficiently deployed to be submitted as case studies. This track is distin- guished from reports of scientific AI research appropriate for the AAAI-12 Conference in that the objective of the efforts reported here should be the engineering of AI applications..
Case-study papers must describe deployed applications with measurable benefits that include some aspect of AI technology. The application needs to have been in production use by their final end-users (typically for at least three months). The case study may evaluate either a stand-alone application or a component of a complex system.